Blog Winner of Dalkey Book Festival Four Forty Competition! Winner of Dalkey Book Festival Four Forty Competition! Lads, I must be doing something right -another of my writing students has won a short story competition! 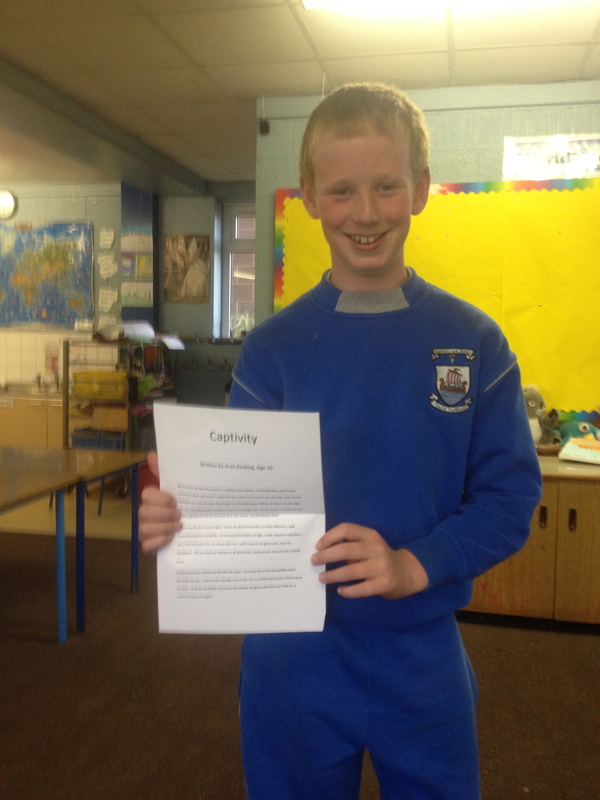 Aran Keating (age 10) has won the Dalkey Book Festival Four Forty Short story Competition! Aran attends my after school writing classes is Malahide. He is a brilliant, original and funny writer. He and his family have won a weekend in a four star hotel (the Killiney Court Hotel), tickets to loads of events at the Dalkey Book Festival this weekend and Aran wins a €250 book token. Fab! Well done, Aran!